In diabetes mellitus (DM) type 2, there is a very high risk of developing cardiovascular (CV) events. We aimed to study the total CV risk of the indigenous people of Kyrgyzstan with impaired carbohydrate metabolism (DM type 2 and impaired glucose tolerance, IGT), depending on the region of residence (low and high altitudes), and to develop targeted preventive measures. As the gathered statistic data shows, the growing surgical experience leads to the decrease of the conversion rate, complications, hospital stay and mean operation time. We present review of current evidence on ischemic heart disease in women. The risk factors, clinical manifestations, diagnosis and treatment and prevention of ischemic heart diseases in women are discussed. In this article, we provided summary of knowledge on left ventricular posterior wall rupture as a complication of mitral valve replacement surgery and shared our experience with such complication. A 27-year-old patient with episodes of syncope and short episodes of documented tachycardia. What is the possible cause of syncope? Which location is the pulse wave flow belongs to? What kind of abnormality you can see in this flow sample? Woman, 46 years, complains of episodes of weakness, feeling of heat in the face, palpitations and tachycardia. Sometimes these symptoms make her wake up at night. 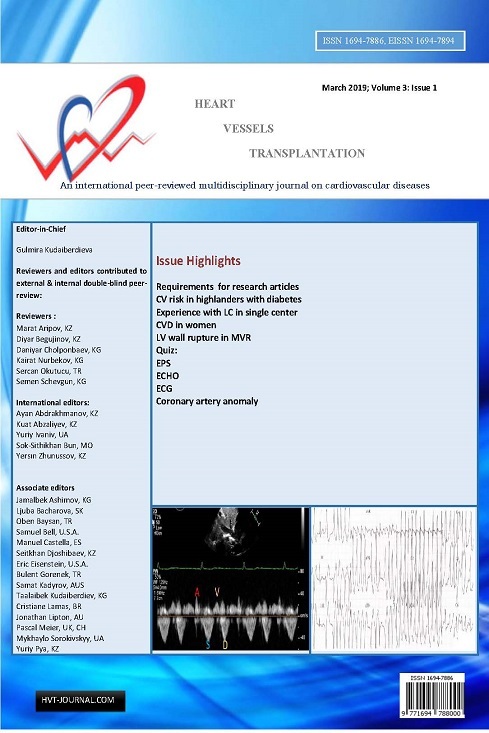 Letter to the editor on article "Anomalous origin of right coronary artery from left coronary sinus associated with aneurysm of aortic root"
We read with great interest the case report of Tuleutayev and co-authors (1) published in Heart, Vessels and Transplantation. In this case report, authors present a 61-year-old male patient admitted to the emergency department with chest pain. Multidetector computed tomography (MDCT) revealed aortic root aneurysm and right coronary artery (RCA) origin anomaly with related myocardial infarction. Images of a very good quality and satisfying information before and after surgical treatment were presented. 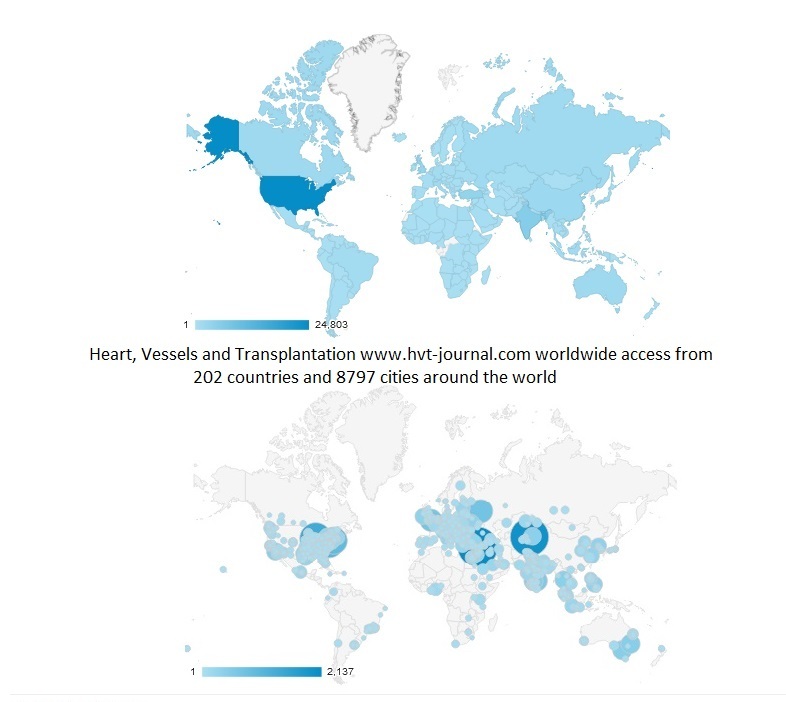 Authors` reply to Letter to the editor on article "Anomalous origin of right coronary artery from left coronary sinus associated with aneurysm of aortic root"